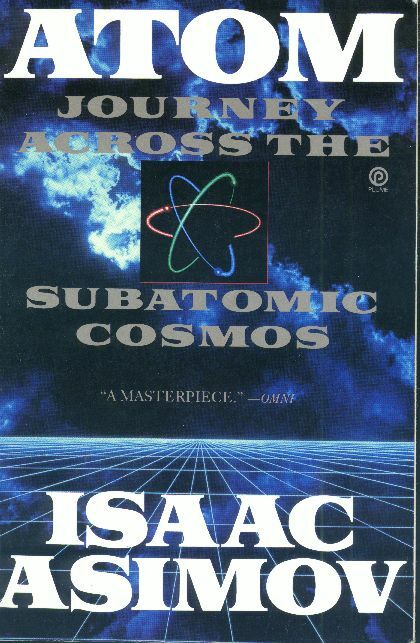 The legendary Isaac Asimov starts what is perhaps the most fascinating of all his books with a simple query: how finely can a piece of matter be divided? But like many simple questions, this one leads us on a far-flung quest for a final answer, a search that becomes a series of beautifully structured building blocks of knowledge. It begins with the earliest speculations and investigations by the Greeks and Romans, and then, step by step and century by century, it traces the path of discovery that revealed more and more of the nature and structure of the universe. Atom also encompasses such phenomena as light and electricity; the protons, neutrons, and quarks that are the fundamental units of the universe; hard-to-observe “anti-particles”; and other strange bits of matter that challenge our assumptions about the very nature of space and time. Up-to-date and unique, Atomis the only book of its kind, by the renowned author whose genius for beinging clarity and excitement to complex subjects has made him the most celebrated science author of our time. Copyright © 1995–2011 by John H. Jenkins. All rights reserved.